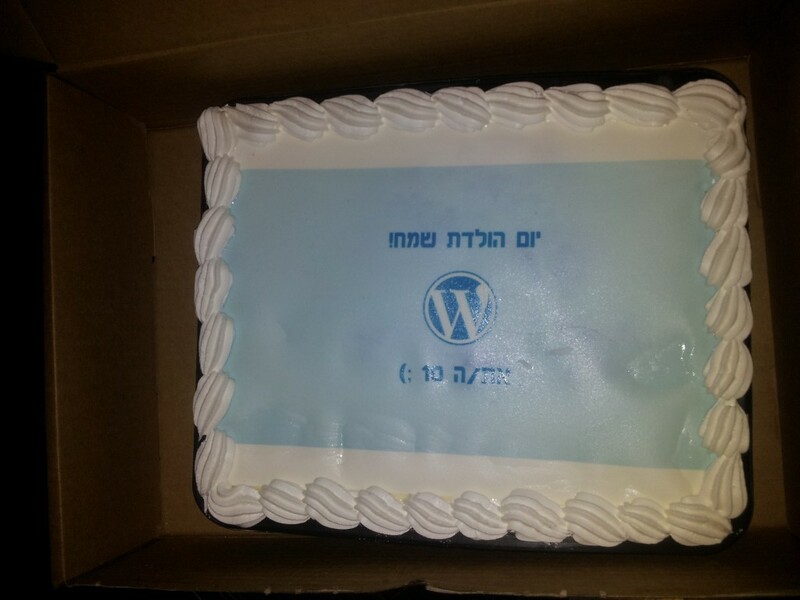 Last night, like 718 other cities around the world, the WordPress community in Jerusalem got together to celebrate 10 years of our favorite CMS. Gathering around alcoholic beverages, every one got a chance to tell the group about their own relationship and history with WordPress, show off a site they are really proud of, and talk about something awesome they learned about WP while building their sites. There were definitely a few themes that repeated themselves among what people had to say: they tried other CMSs, they were clunky or annoying or unnecessarily complex; then they tried WP and coincidentally the sun shone through the clouds at that very moment (some mentioned angels singing, but I’m skeptical). One person mentioned how WP can make regular (i.e. non-developers) look like a million bucks; others praised how easy it is for their clients to use. A discussion then ensued about the pros and cons of WordPress.org vs. WordPress.com. In short, a bunch of us got to sit around for a few hours discussing something that we love that our friends and families can tolerate hearing about for up to five minutes at a time. Wheeeee! 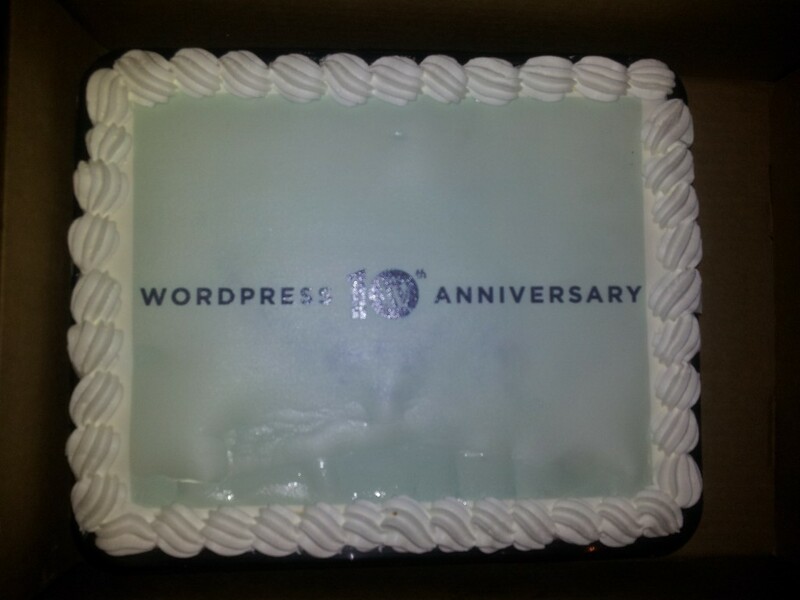 Other communities created especially amazing cakes – see a collection on WP Daily. Wow. Extra special thanks to Matt Mullenweg and Mike Little, for forking b2/Cafelog and having the vision to create a platform that now runs over 17% of the web. Cheers!